In our Philadelphia medical weight loss program we believe that our patients are so successful at losing weight because in addition to providing them with high quality FDA approved weight loss medications and appetite suppressant medications we also work with them in developing the right diet plan/meal plan for them. Our patients tell us that the weight loss pills do a great job of controlling their appetite and this enables them to make the right food choices and follow all of the recommendations that we gave them. The combination of the weight loss medications, vitamin B12 injection therapy, sensible eating plans and walking is a safe and effective way for you to lose weight. If you would like more information on our weight loss program is a call at 215-821-7336 and schedule your free weight loss consultation. Now I’m going to give you three great recipes. 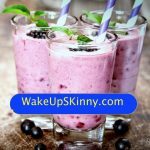 I’m giving you the recipes for a blueberry and coconut smoothie, a low-carb pumpkin cupcake recipe and a low-carb chocolate pudding recipe. Let’s begin this recipe by mixing your almond milk and shredded coconut into a blender. Blend this for about 30 seconds. After that just put all of the other ingredients into the blender. I word highly recommend that the pulse setting and blend everything until it’s nice and creamy. This will give you more of a thick consistency and if you prefer to have it be a bit more liquid just added more unsweetened almond milk until you have the consistency that you prefer. This is a really fantastic recipe and it’s so easy to make. Just take all of the above ingredients put them into a nice sized bowl and mix them together until everything is blended nicely. After everything is totally combined all you have to do is put into the refrigerator and let it chill overnight. This recipe makes approximately 2 servings each of them having about 15 grams of carbohydrates, 12 grams of fat and about 8 grams of protein. This is a wonderful recipe and it’s one of my go to snacks. Let’s begin by preheating your oven to 350°F. Take a muffin pan and place cupcake liners in each slot. Then take a good-sized bowl and whisk together the eggs, Stevia and pumpkin until it’s nice and puffy. After that stir in all of the other ingredients until everything is thoroughly blended together. Now all that you have to do is pour the batter into each muffin pan and bake this for about a half hour to 40 minutes just until it is thoroughly cooked and if you stick a toothpick in it a comes out totally clean. Now all you have to do is just let this cool down for about 15 minutes. So there you have it, 3 great low-carb recipes that will help you lose weight safely and effectively. And don’t worry I know these recipes taste too good to be diet food but as long as you stick with our weight loss program you should be fine. If you, a loved one, a friend or coworker need help losing weight or just improving your overall health and wellness I invite you to give us a call and schedule your free consultation. Call us now at 215-821-7336 and let us help you reach your goals. This entry was posted in Diet Doctors in Philadelphia, Medical Weight Loss, Medical Weight Loss in Philadelphia PA, Medical Weight Loss Philadelphia, Weight Loss, weight loss philadelphia and tagged Medical Weight Loss Philadelphia, phila diet doctors, weight loss philadelphia on June 22, 2017 by Dr. Michael Kenny.